Most folks have this notion that a thing that isn’t broken doesn’t need fixing. Yet Gerber believes that as tough and reliable the US Army E-tool is, a lot can still be improved on this handy implement. 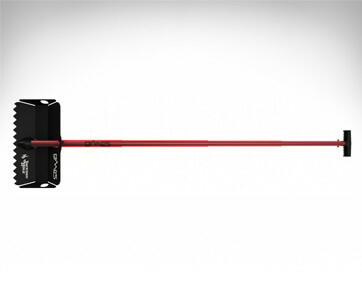 That’s why the brand redesigned the e-tool spade to become fully folding and integrated with a few nifty improvements to further make the point. 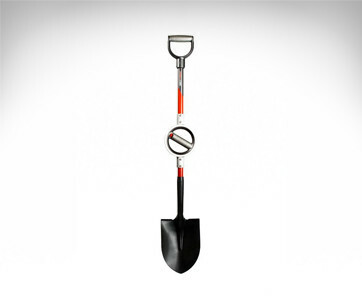 Made of heavy-duty boron carbon steel, the Gerber E-Tool Folding Spade is built for the toughest jobs. Its powder-coated spade plus 7075 anodized aluminum shaft and glass-filled nylon handle gives you a tool that will never say no to any task that it may be called on to perform. With integrated locking mechanisms, the Gerber E-Tool can be locked in the L position at a rather unusual angle of about 75 to 85 degrees instead of the usual 90. It can also be rotated up to 175 degrees, instead of the conventional 180. This may seem odd at first. 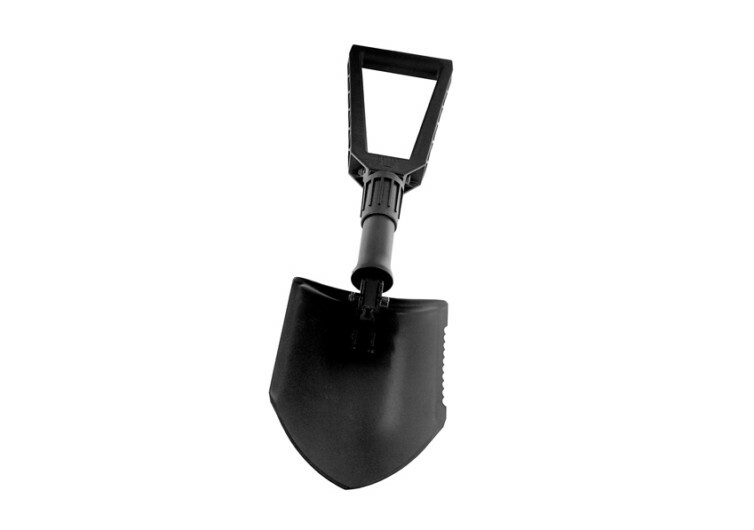 However, most users prefer the slightly different lock angles because it gives them superior digging capabilities when the e-tool is converted into a pickaxe. 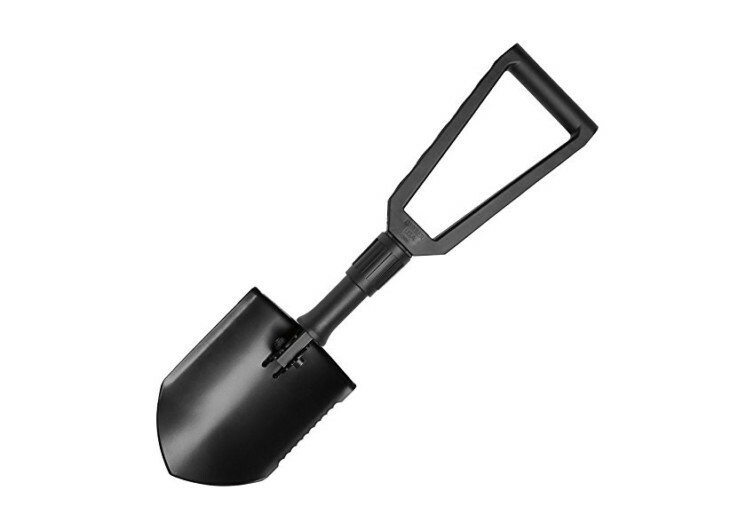 The boron carbon steel spade comes with serrations on one side allowing it to be used as a nifty handsaw, although its main purpose is to make quick work of any digging chores. While the Gerber E-Tool can be quite long at about 23.75 inches from tip to tip when fully extended, it can be easily folded into three sections requiring only 9.73 inches of longitudinal space in your bag, box, or under your table. It is a powerful tool, yet it only packs in at a measly 2 pounds. 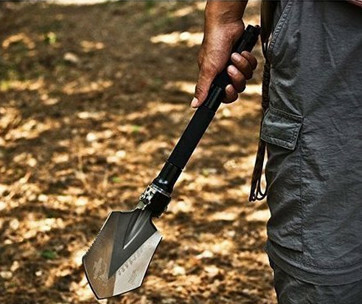 It’s the perfect tactical tool to include in your outdoor adventure gear. 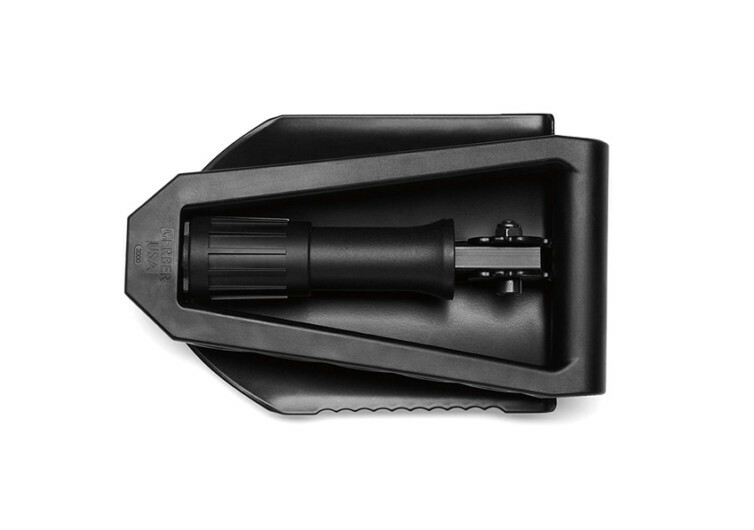 The Gerber E-Tool simply revolutionizes the standard-issue e-tool of the US Army. And it does so magnificently.